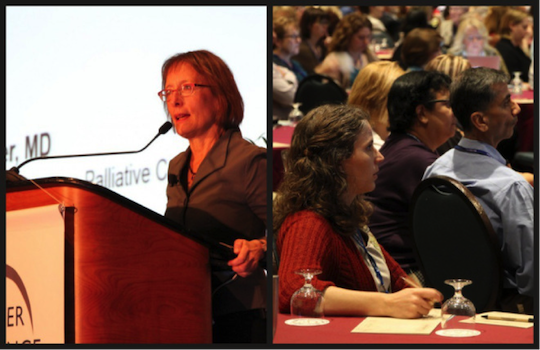 Diane E. Meier, MD, CAPC Director, (left), kicked off the event with a plenary presentation that highlighted the enormous growth of palliative care in recent years. She also identified the palliative care financing opportunities that have been created by health care reform. A young professional looks on intently. 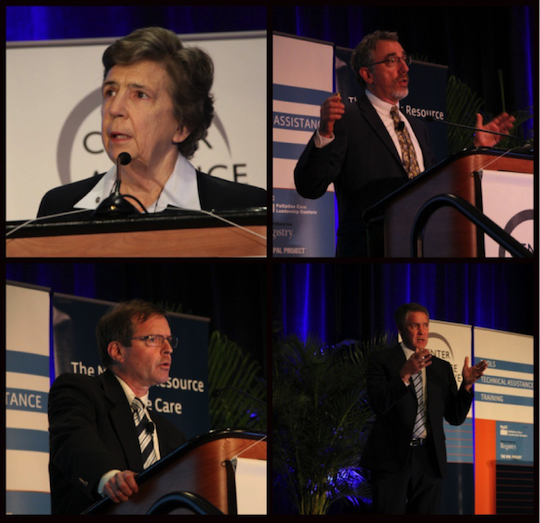 Other plenary speakers included Sister Carol Keehan, DC, RN, MS, (top left), David Weissman, MD (top right), Graeme Rocker, MD (bottom left), and former Senator William H. Frist (bottom right). 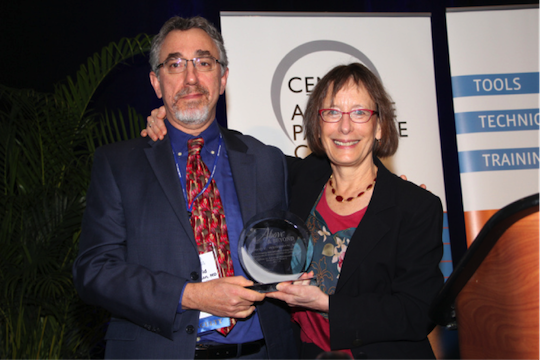 David Weissman was also awarded the 2014 CAPC Innovation Award for his many contributions to the palliative care field. Throughout the weekend, concurrent session presenters identified specific, mission-critical issues and offered real-world solutions. These sessions also allowed attendees the opportunity to ask pointed questions. 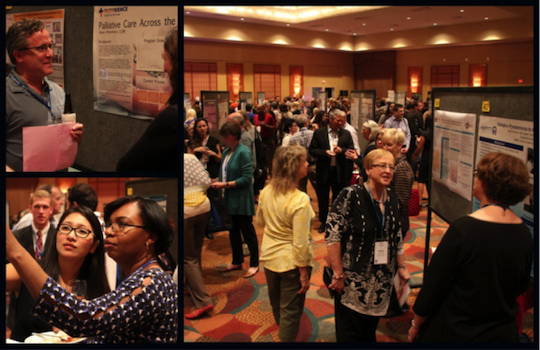 The poster session showcased palliative care program solutions to common problems through visuals and informal presentations. 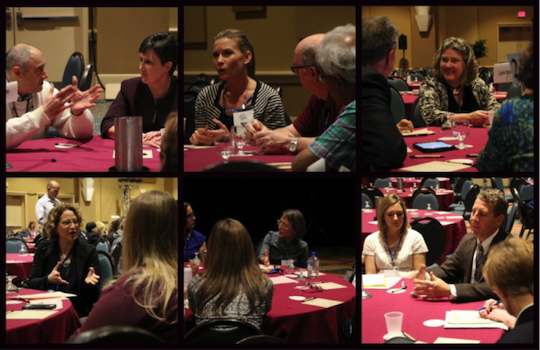 Intensive sessions and office hours gave attendees small-group discussion time with colleagues and expert faculty. Hundreds of attendees took to social media to share their reactions and favorite quotes from the weekend. 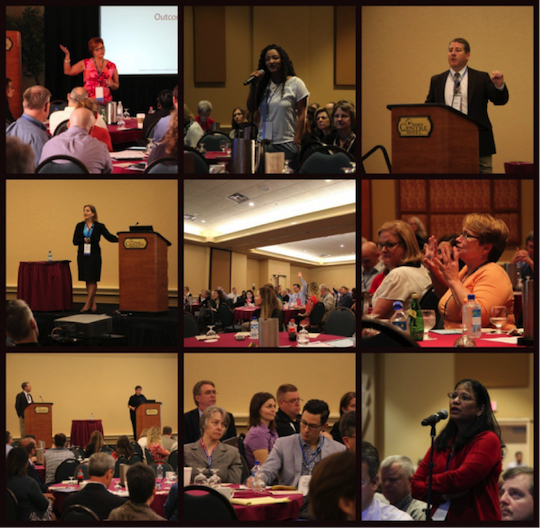 The hashtag #CAPCseminar14 garnered over 4,000 unique tweets during and after the event. The excitement of the weekend was evident in the faces of attendees who bonded over shared experiences.